Now in its fourth year, the Architecture+Design Film Festival (A+DFF) Winnipeg presents critically acclaimed films focusing on the importance of architecture and design in everyday life. The films cover a range of design-oriented topics from architecture, landscape and urban design to graphics and product design. This year the films are from England, Spain, Italy, Netherlands, France, USA and Canada. Primarily documentaries, we are also showing fictional feature and short films, which explore our built environment with great humour. The festival is unique in Canada and provides an opportunity to see a range of short and feature length films, newly released or in limited release. The 2015 festival will open with the Canadian documentary “Strange and Familiar: Architecture of Fogo Island “, which documents the artists’ studios and new Fogo Island Inn, designed by architect Todd Saunders. This project has been showcased in more than 80 international magazines for its beautiful design but also innovative community development goals. We are pleased that film-makers Katherine Knight and Marcia Connelly will be present for a post–film discussion. 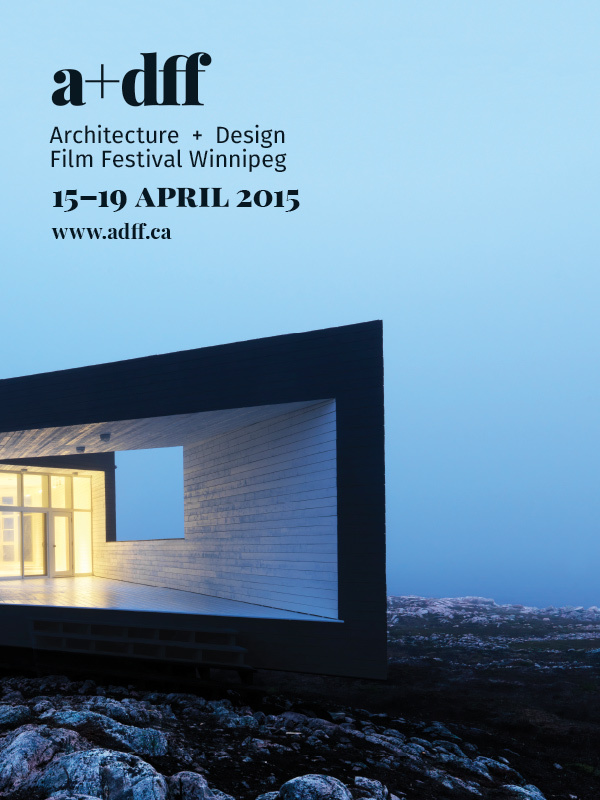 The 2015 Architecture+Design Film Festival is being generously supported by the Winnipeg Foundation, as well as individual film sponsors. As with all volunteer-run cultural events, financial support is most welcome and necessary. Presented by the Winnipeg Architecture Foundation, Urban Idea and Cinematheque.